Feel like you've been hit by a truck? This will help. I feel like I've been hit by a truck. This is a funny expression. Not because there's any real humor in getting hit by a truck, of course, but rather because people say it on a semi-consistent basis, even though the vast majority of us have no idea how it actually feels to be hit by a truck. Even so, during the past week I've felt like I've been hit by a truck. I've been tired, sluggish, sore, and unmotivated. An acquaintance suggested that my lethargy might be due to aging, and as evidence, she quite happily referenced the fact that I celebrated my 39th birthday earlier this month. Point noted, but grudgingly, because a) turning 39 means I'm practically still a puppy, and b) we're all aging. Every day, in fact. No, I don't believe that the real culprit for my recent tiredness is because I'm facing the end of my 30's. I've decided that it's due to my recent trip to Florida. Florida has ruined me. 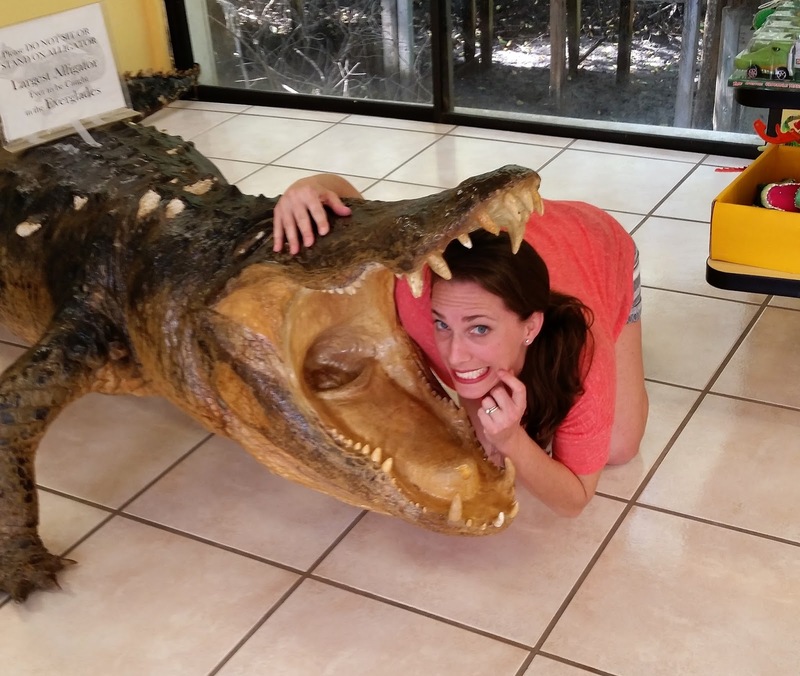 During our six days in the Sunshine State, I grew accustomed to warmth, and vitamin D, and the smell of sunscreen, and posing for pictures with alligators. Now that I've returned to the daily grind of my life in the north, I've reverted to a cold-weather existence that involves heavy jackets, clunky snow boots, gray skies, snow squalls, and scraping frost from my windshield in the morning when I forget to pull my car into the garage. I tolerated this reality for the past several months without complaint (or even notice), but now I've moved past these winterish practices, both mentally and physically. They have no place in my post-Florida-trip lifestyle. I vehemently object to them, in fact, but despite my protest, they continue. Which is why I recently took a nap on my kitchen floor. 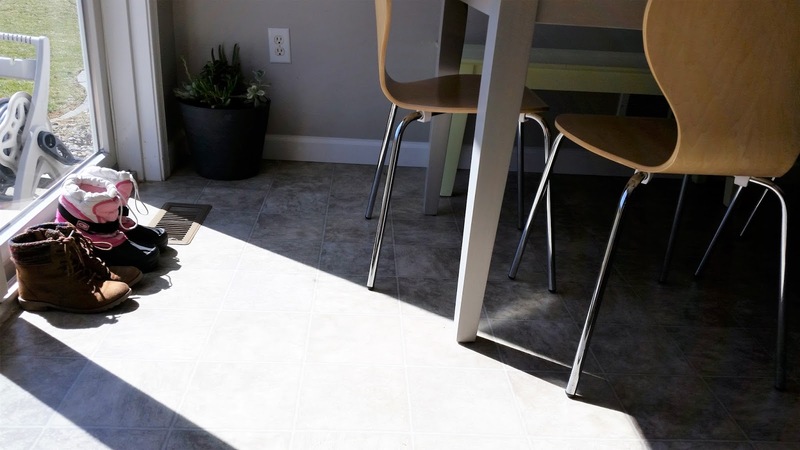 You see, when the afternoon sun shines (which doesn't always happen in March, but did happen today), it illuminates a small stretch of flooring tucked between my kitchen table, a house plant, the spot where my kids leave their boots, and the wall where I lean our broom. And, for some reason, when I saw this brilliant sunshine streaming through the sliding glass doors this afternoon, I immediately lay down, stretched out, closed my eyes, and basked in the light. Granted, closing your eyes is a dangerous prospect when you're worn out; sleep comes quickly, even if you're not intending it to. It wasn't quite the same as lying on the beach, mind you, but it must have counted for something. 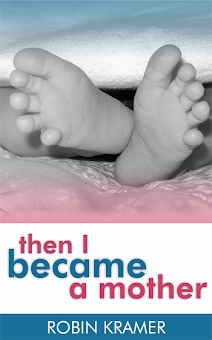 After all, I woke from my unlikely nap feeling warm, refreshed, and no longer as if I'd been hit by a truck. Oh I hear you! What you described is how I feel all winter long. Slow. Sluggish. Tired. I would blame Florida too. Sunshine gives me so much energy (except for when it's horribly hot)! What a funny image you shared of yourself laying on the floor. You're so awesome. Wishing you some energy friend! While I'm not glad to hear that you also experience winter lethargy, it's good to know that I'm not alone. As for the picture, now and then, everyone needs to pose with their head in the clutches of an alligator's bite, eh?